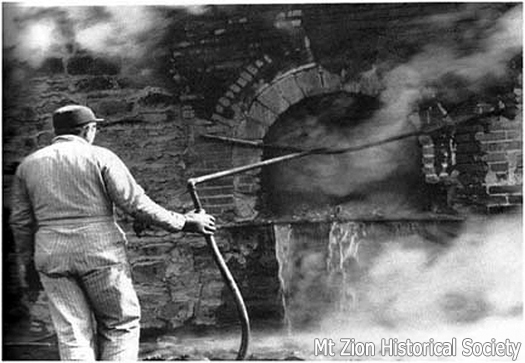 Some Coke Oven Lore & History: In 1904 the Powhattan Coal and Coke Co. opened a new mine at Sykesville. 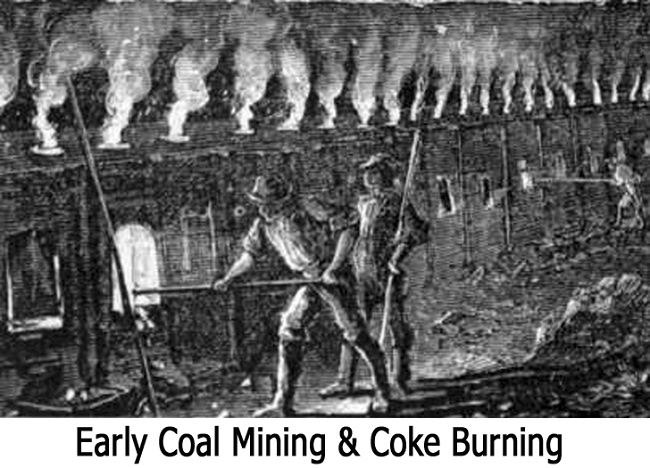 One year later, the fledgling company sold out to a group of New York investors who changed the name to the Cascade Coal and Coke Co. At that time, under the direction of C.C. 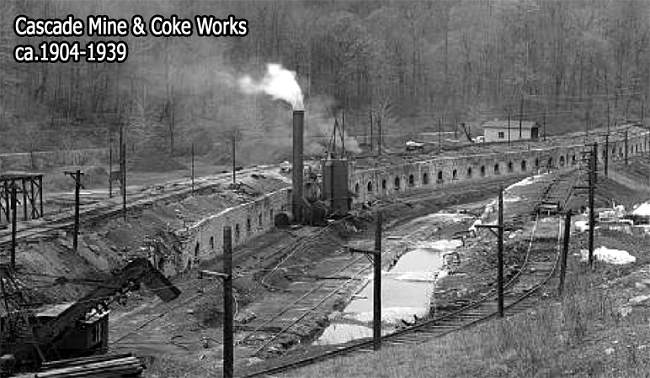 Gadd, 100 coke ovens were built. 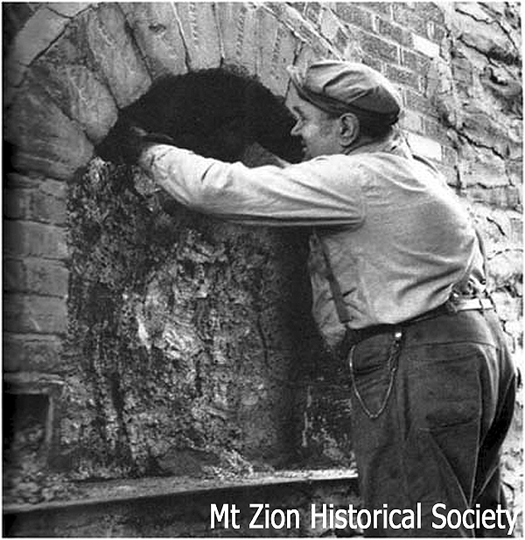 Two years later, a local paper noted that "they are working regularly at the Cascade mines. A good grade of coke is being make there, and business is brisk." The prototype for this kit was built in 1903 at the Cascade Coke Ovens, Cascade, Preston County, WV, now abandoned. The ovens were charged from the top through a charging hole. The coal was leveled by raking by a man outside the oven. The doorway was temporarily plugged with brick. A small space was left open at the top for air. 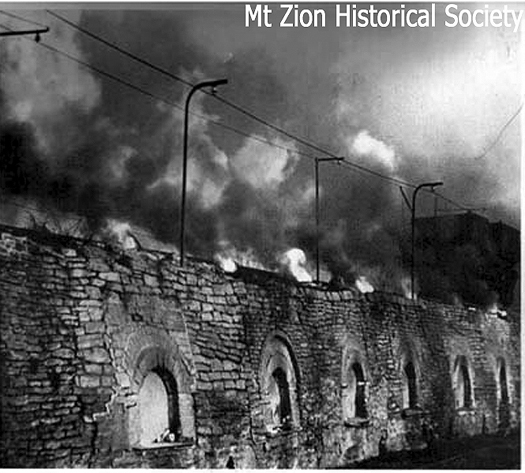 Forty eight hours later, the coal was turned to coke. Normal operations would see half of the battery of ovens being fired while the other was being unloaded of coke and reloaded with coal. A new industry for your coal mining branch, or model it abandoned and weed grown along a torn up spur. 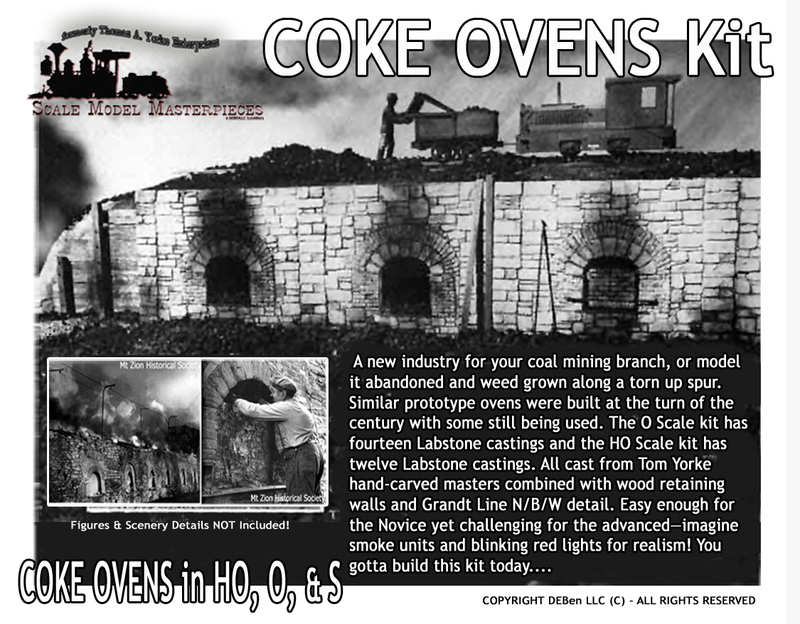 This Coke Ovens Kit: LabStone castings cast from Thomas Yorke 'original' hand-carved masters combined with *new* pre-cast wooden retaining walls and Brick Charging Portals makes a great detail for any Empire. Easy enough for the Novice yet challenging for the advanced. imagine smoke units and blinking red lights for realism! You gotta build this kit today... 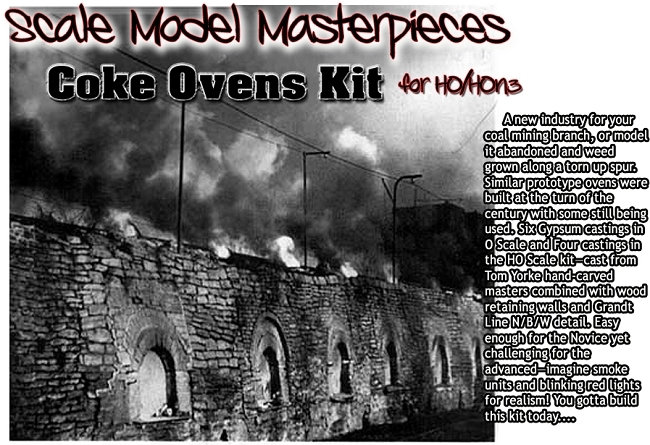 Need more than four ovens on your empire? We have Extension Kits, too! Foot Print: HO is 8"long x 6" deep (or so) & O is 11"long x 8" deep (or so) Heck, it's your Empire; make it as long & wide as you want. We'll bet that there are a few S/Sn3 Modeler who can adapt this kit to their scale, too! Instructions have been rewritten to include *all* the steps to build this kit including *tips* from (Doctor Ben's How-To #2: The ABCs of Staining Castings) to stain and weather castings, wood and plastic!